Any Other Information You’d Like Us To Change? Soothe the anguish of the loss your family and friends have faced with the comforting image of a stairway to heaven. Soft colors help provide a gentle tone for the funeral or memorial service, and you can further that comforting quality by customizing the funeral service template to include information about, and photographs of, the recently deceased. Made to work with Microsoft Word, if you do not own a copy, we can provide a convenient copy for you to use. 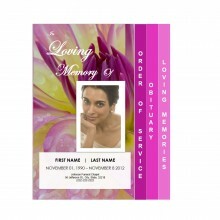 Conversely, you can allow us to customize the pamphlet for you for a small, additional charge. 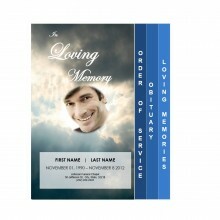 The Stairway To Heaven Funeral Pamphlet Template showcases a stairway against a baby blue background. Overlapping the stairway is a prominent image of the dearly departed, and beneath his or her photograph you can input their full name. 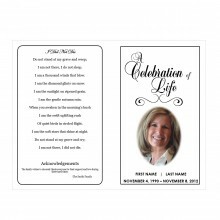 To the left of their image, the words, “A Loving Tribute” are printed in black. On the bottom of the cover, there is a space for their birthday and the date that they passed. 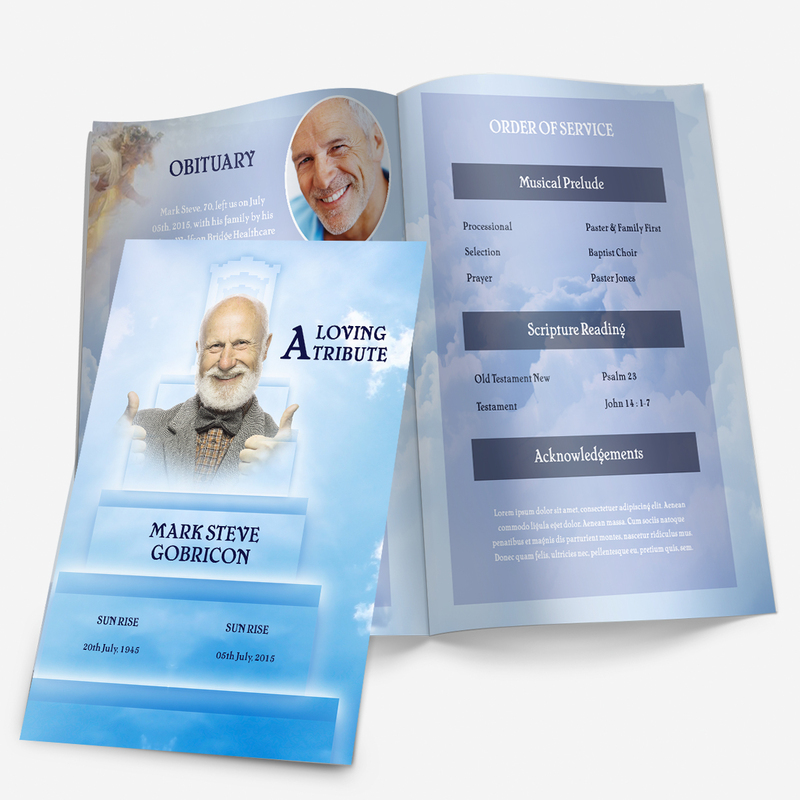 Inside of the funeral program is an obituary template and a page for memories, order of the service and acknowledgements. 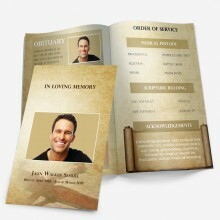 The Stairway To Heaven Funeral Pamphlet Template measures 8.5 inches by 11 inches.